Fox Hat Brewery is a subsidiary of Vale Brewing and have just installed a new canning line at the Willunga premises. The new canning line will provide the popular Fox Hat range in take home cans as well enable increased production of their delicious range. One of the new products that has been added to the Fox Hat product range is the Lusty Lager. The Lusty Lager is a natural progression from the Metric IPA and Phat Mongrel Stout products, and is a perfect blend of New Zealand and American hops. Lusty Lager is a very attractive beer with a lovely golden orange colour. It is strong with notes of apricot, melon and tropical fruits followed by hints of spice and cedar. The bitterness is lusty with a clean and crisp finish. Fox Hat Lusty Lager is the third product to be rolled out under the Fox Hat Brewing label with new additions in the coming year. 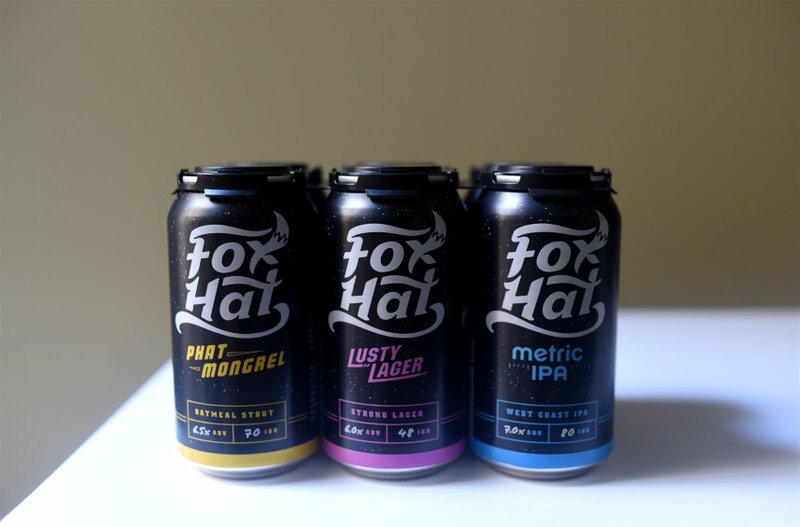 The full range of Fox Hat beers in take home cans will be available at selected distributors next month. What’s new for Fox Hat? Only the fox knows! Let the hunt begin!